Finally finished ZZR1400 front end, wheel perfectly centred. Speedo drive heavily modified. 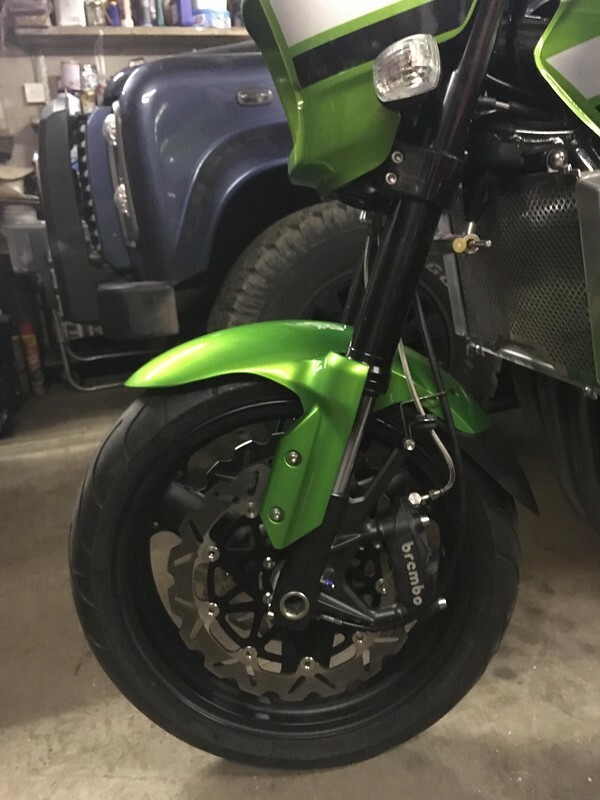 KLE650 Versys mudguard fitted. Nice job sorting the pic Nige ! That's a lot of work gone it to that and pukker attention to detail. Nice job as ever Dave! Good effort all I did was put some petrol in mine and run it for an hour,she starts first click. Still doing me bestest, put some silicone ht leads on, yellow .............Must try harder.